This pink floral wall art is a pretty way to add a fresh, organic feel to rooms. 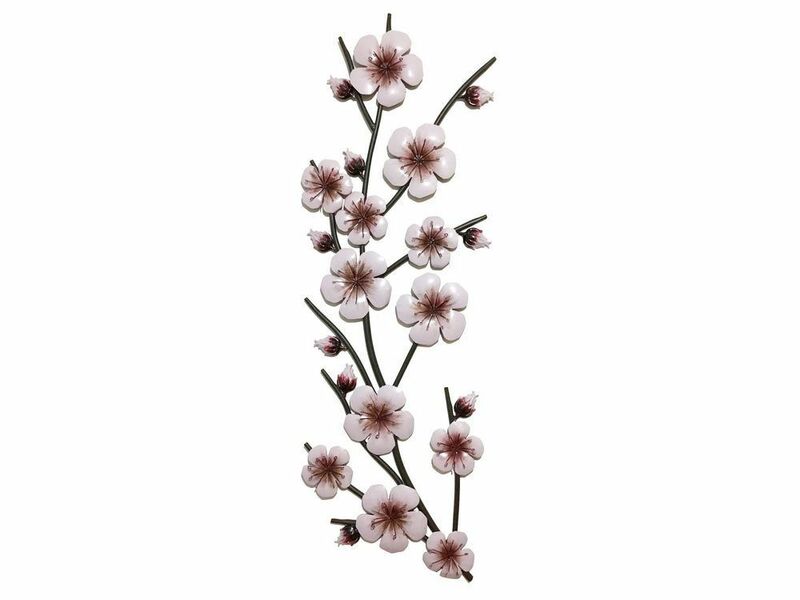 The pink buds and delicate red stamens of this floral wall plaque give a natural look and the differing flower sizes add dimension to the design. A versatile decorative accessory, the tall stem of this floral metal wall hanging makes it ideal for hanging on narrow walls.